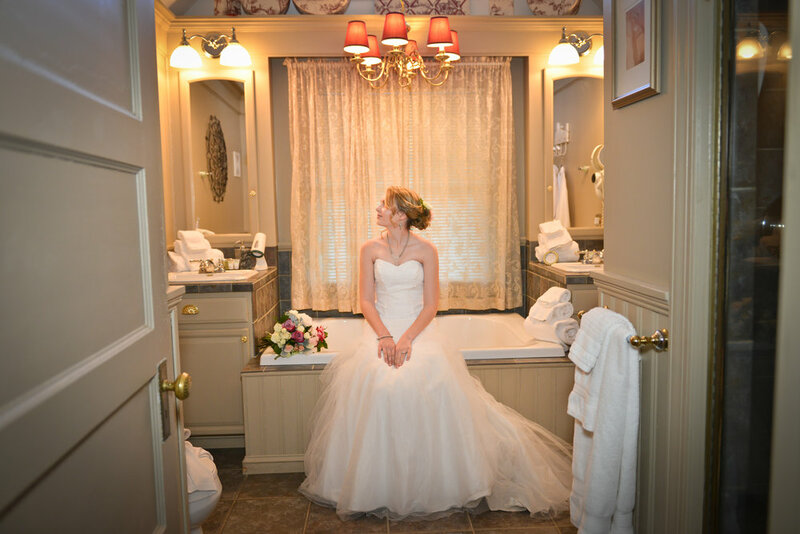 Whether your planning your wedding or searching for the perfect look for your special event, our talented team of stylists and makeup artists will help you achieve your vision. All special event and on sight reservations will be charged a minimum of two weeks (14 days) prior to the day of your event if your party exceeds three or more people. A 50% service fee will be charged for all no-shows and late cancellations. No services may be changed on the day of the event. Basic natural makeup with no prior consultation. Includes your complimentary take home lip product, consultation and practice natural makeup prior to your event. Once we've achieved your desired look, we will be all set for the day of event. Hair, basic makeup with no prior consultation. 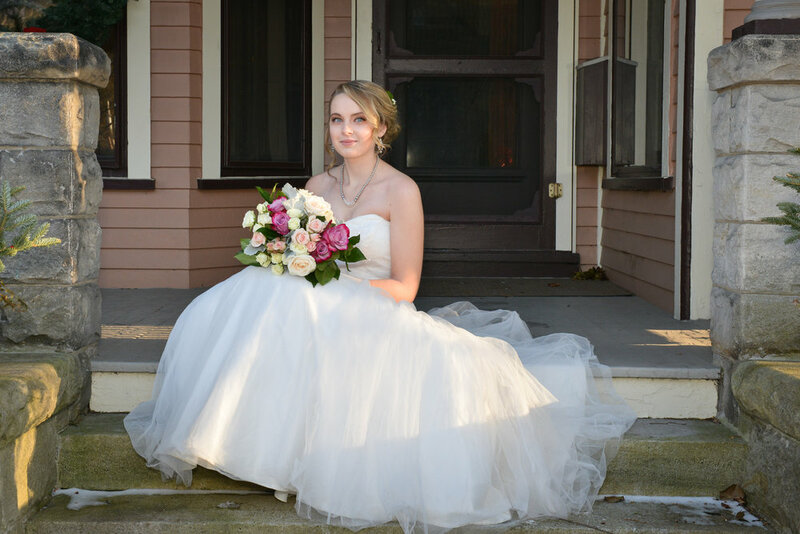 This package requires a consultation with a practice updo and makeup prior to your event. (2.5 hours) Once we've achieved your desired look, we will be all set for the day of event (2 hours). Our artists are available for travel for hair and makeup. We have a set $50 travel fee. Travel beyond 60 miles (there and back) from our location is .54 cents per mile. On sight events require payment a minimum of two weeks (14 day) prior to your event. 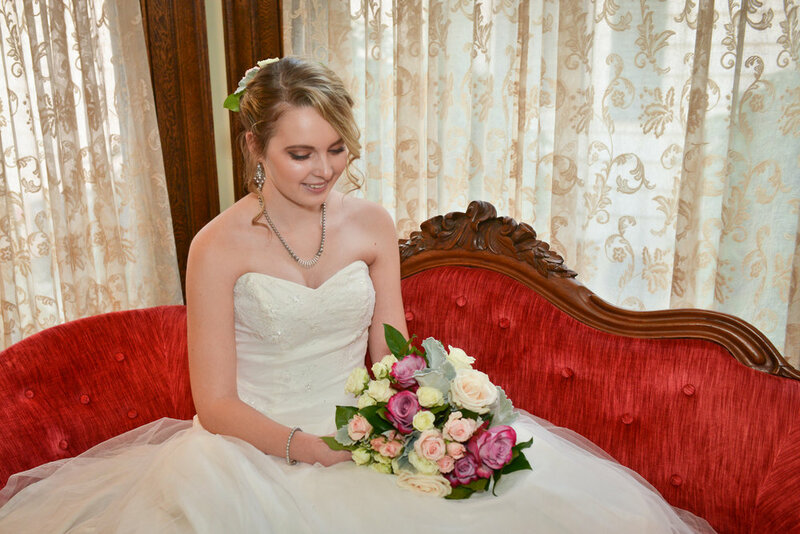 Flowers Provided by Akikos Floral Arts in Wellsboro, PA. Wedding venue? Time of ceremony? Would you like hair and makeup services? Number of people getting hair and makeup? Location your getting ready if travel is needed? Congratulations! We are excited to work with you! We will be in contact with you within two business days to discuss the details!